Meant to post this yesterday, but here we go. 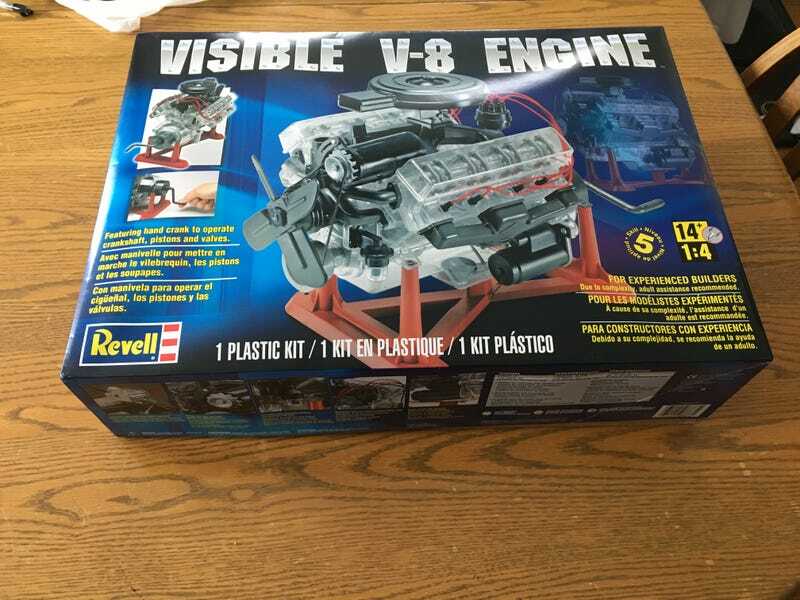 So, last week my dad and I bought a Revell Visible V8 Model Engine. It was an idea we had since we’re both car guys but have never had any real opportunities to do any real wrenching (unlike other members of my family). So, we decided what better thing to do than get a model engine? Upon getting it yesterday, we opened it and discovered a lot of parts were involved. My dad had built models as a kid, I haven’t had any experience in that regard, so to both of us it was eye-opening how many parts were involved. We also found out we would need to use epoxy and vegetable oil for the build, however, some reviews for the model say to use liquid cement and some lubricant that won’t degrade the plastic instead. A trip to Michael’s later and we found everything except the lubricant, which we’ll have to go over the border for. After about an hour or two of work, we managed to pre-assemble the crankshaft, with the connecting rods.